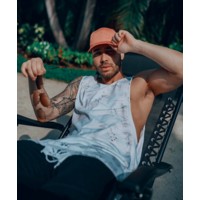 Geoffrey Royce Rojas (born May 11, 1989 in New York City, New York), known professionally as Prince Royce, is an American singer, songwriter, musician and record producer of Dominican origin. He debuted in early 2010 with the release of his eponymous studio album, which includes hit singles "Stand by Me" and "Corazón Sin Cara". Royce was born Geoffrey Royce Rojas on May 11, 1989 and raised in The Bronx, a borough of New York City, New York. He is the second oldest out of four children born to a Dominican father, who was a taxi-cab driver and a Dominican mother who worked at a beauty salon. When he was young, he participated in choir in elementary school, competed in talent shows and, at the age of thirteen, began writing poetry which turned into songwriting. He also attended and graduated from Bronx Academy of Letters high school, which is located in the South Bronx. There was where his poetry skills developed greatly.